? You don't even need to be a trainer! 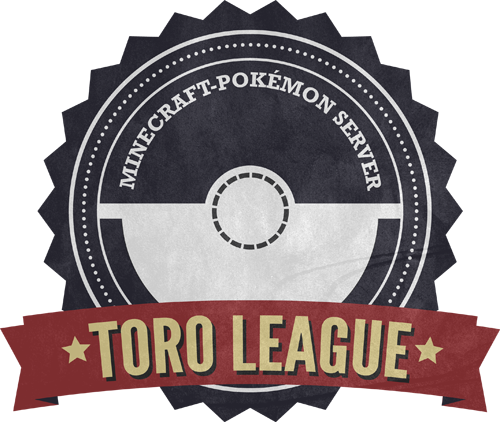 Welcome to Toro League, a Pokemon themed Minecraft roleplaying server set in the 1950-ish! We’re a highly structured roleplaying server with a focus on storytelling and character development! Though you can get more than your fill of Pokemon action here, that’s just a small sliver of the experiences on Toro! Will you stay straight and true? Become the very best or study the strange creatures as a Pokemon professor? Maybe your path leads elsewhere! You could start a business, rise to fame and fortune, or create something incredible! Will you fight to defend Toro from the dastardly CODEXor wreak havoc as your own villain? In this world, you can do anything from a selection of everything! Running for almost three years, we’ve grown a small, close-knit player base and we’d love to see you join us. Everyone is always excited for new members, and, thanks to our talkative Out-Of-Character global chat, feeling new won’t last long! From our custom website and forum, to our Skype groups and private Teamspeak server, getting to know people will be as easy as catching your first Pixelmon! The server is supported by our dedicated, expert staff covering everything we have to offer. We use customs mods written just for Toro by our gloriously German tech support. And all of our outlets are constantly updated by a few of the teams on Staff. A big focus is providing roleplaying events to help drive the story of the server as a whole! The events come in all varieties, from dances to Pokemon to our token evildoers - Team Noir, there will never be a dull moment when enough people gather round! Thinking of joining, or just want to check us out? Take a look at our website located here Toro League! You’ll need to apply to be whitelisted, but that’s just to cover basic rules and character creation! And don’t worry! We have a “no deny” policy, and if your app isn’t up to snuff, we’ll work with you to get you started! If you have any questions, or want to know more, feel free to ask! So, come on by, ‘cause we can’t wait to see you and your character serverside! Custom texture pack made with love and care. Emphasis on serious roleplay. Truly live in the world of pokemon! World painted map . 4000x6000 blocks of tamed wilderness. Forum & Wiki so the RP doesn't have to stop when the game is closed!